It’s always interesting to meet new clients both for ready to wear and made to measure suits. The last few weeks have been a busy period for TravellingTailor.co.uk and I’ve met many new customers across the country. 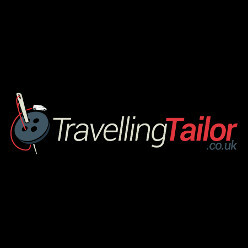 Why spend the day shopping when travellingtailor.co.uk can come to you? 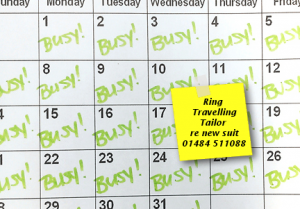 I’ve travelled the width of the country measuring, fitting and delivering suits for clients. This has involved working bank holidays, weekends and evenings as well as normal working hours. One Bank Holiday saw me visiting the Fylde Coast to fit and deliver two made to measure suits for clients as this was the best time for them. Saturdays have become a ‘normal’ working day for me recently. I’ve visited clients for both made to measure suits and ready to wear suits for 4 out of the last 5 weekends. I’ve visited quite a few clients on an evening as well to help them with their menswear needs. In fact, the idea behind TravellingTailor.co.uk is working well, basically I will come and see you when the time is best for you. This ethos was brought home to me on a recent visit to a client. It was a Saturday morning and the client was wanting a Made to Measure Suit for a special function but also to be used for work later. I drove to South Yorkshire to meet my client in the comfort of his own home. Once there, he looked at some of the over 800 sample swatches that I had to show him. After a while he selected a stunning Super 150’s Huddersfield cloth that he and his wife had both liked. After selecting a suitable lining and discussing the various style details available for made to measure suits, I measured him. It was at this point that I enquired how he had found me and why he chose TravellingTailor.co.uk for his new suit. It was simple he said. The sentiments expressed in that statement sums up the TravellingTailor.co.uk ethos – perfectly.